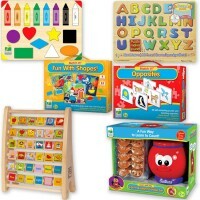 Learn about colors and word recognition with Melissa & Doug's wooden puzzle featuring 10 different colored fish friends, clearly labeled with the proper color. Dive into a world of color and wacky fun! 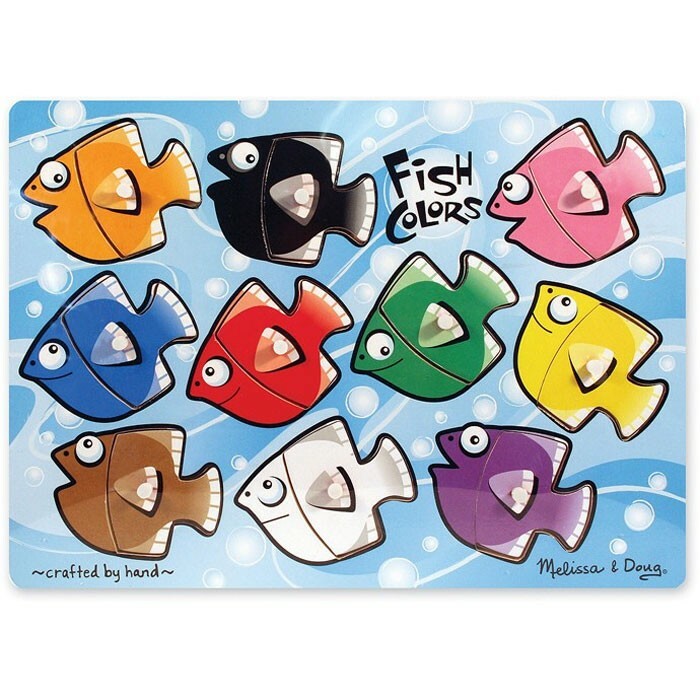 Fish Colors Mix n Match Peg Puzzle by Melissa & Doug is two different toys in one. 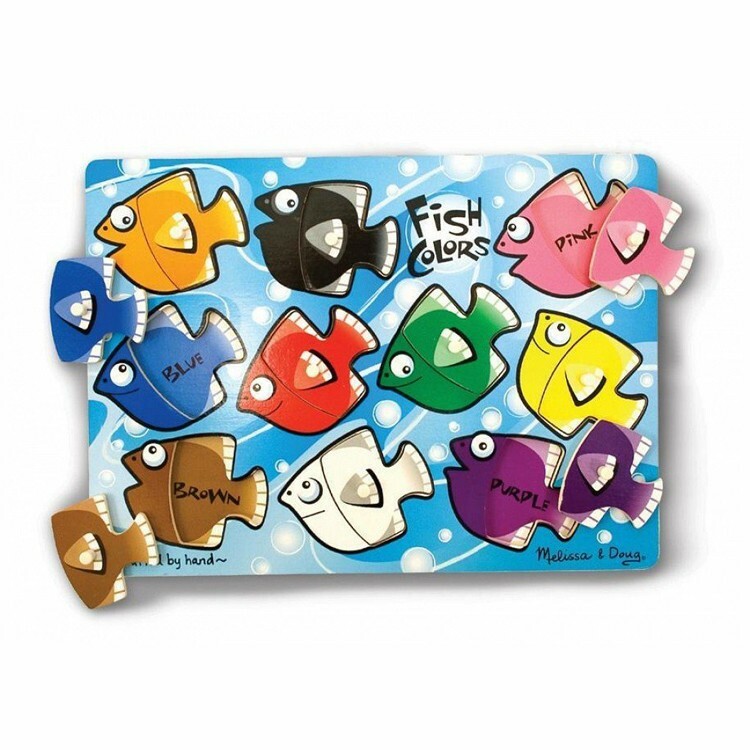 Learn about colors and word recognition with the sturdy wooden board featuring 10 different colored fish friends, clearly labeled with the proper color. 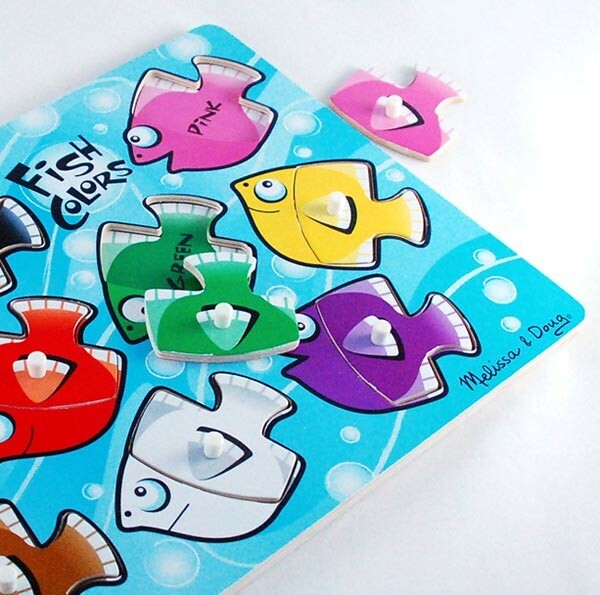 Then play with the mix and match puzzle pieces, placing them on top of the colorful fish and mixing up the colors as you please. 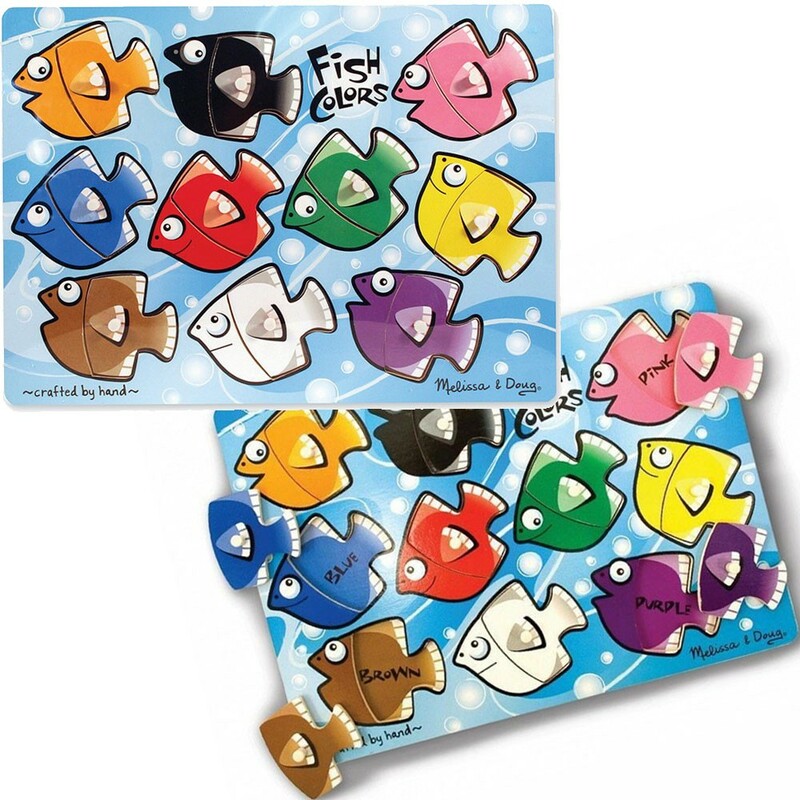 Make a purple and green fish, or a red and blue one, it's all up to you! 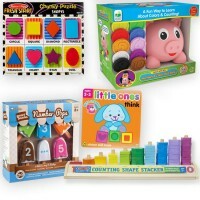 Offered by Educational Toys Planet, Fish Colors Mix n Match Peg Puzzle meets the highest safety standards making it the perfect activity toy for babies, toddlers, and small children of all ages. 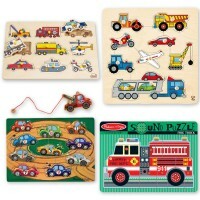 Each piece of this color matching wooden puzzle is specially designed for even the smallest hands. 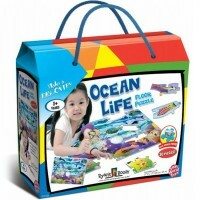 Learn fine motor skills, problem solving and develop creativity with a vibrant trip under water! 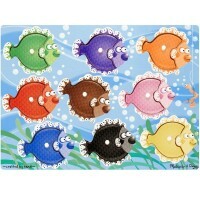 Write your own review of Fish Colors Mix n Match Peg Puzzle. 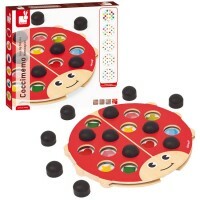 Rating: 5 by Rosa, NY match shapes and colors, vocabulary, perception, same- different..etc. 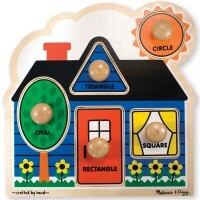 Rating: 4 by Dian, TX I haven't introduced this to my grandson, as we're not yet on to learning colors (he's 16 mo). But he loves fish, so this should hold his interest. 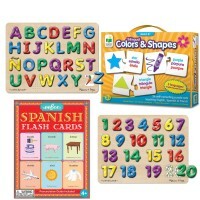 Rating: 5 by Renee, CA She is already learning colors quickly!